Teddy Feinberg the Sports Editor for the Las Cruces Sun News and Jay Sanderson a radio/television play-by-play broadcaster for NMSU Athletics are departing for new opportunities. Teddy Feinberg announced in late June that he would be leaving to become an Assistant Sports Editor for the York Daily Record in York, Pennsylvania. Teddy was the Sports Editor for the Las Cruces Sun News and Covered NMSU Football. He also co-hosted the Teddy & Brook Show, a weekly YouTube Las Cruces Sun News Sports Show about Las Cruces High School Sports and NMSU Athletics. Jay Sanderson is leaving to become the 'Voice' of the Montana State Bobcats for Football and Men's Basketball. Jay was the radio/television play-by-play broadcaster for Aggie basketball, baseball, softball, volleyball and some football. He also served as host and co-producer for the New Mexico State Sports Weekly TV show and morning and afternoon drive sports talk radio programs. I'm so grateful to all my friends in Las Cruces and at New Mexico State for a wonderful 2 years, but this is such an amazing opportunity! Good Luck To Teddy and Jay. 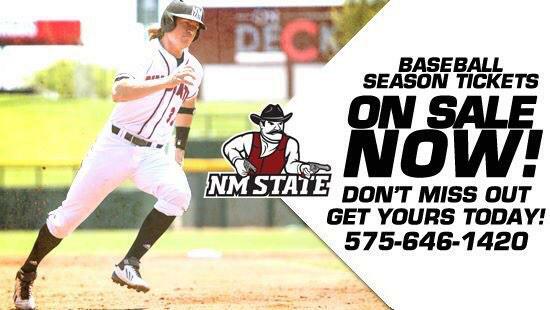 Thank You for covering NMSU and Las Cruces Sports.